Neither Lennon nor Ono were great at writing about politics. 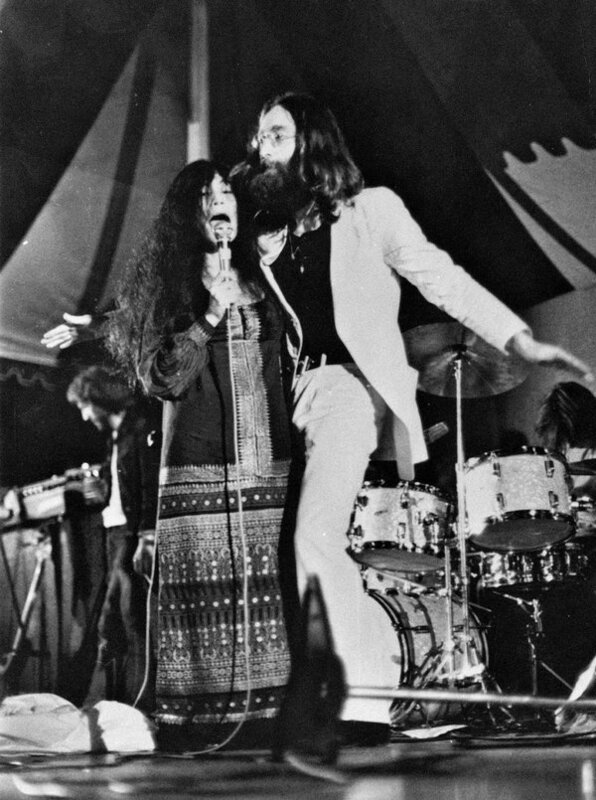 John Lennon and Yoko Ono seem to have started Some Time in New York City with the conviction that a song could, by itself, change the world. Then they apparently went through the papers with a highlighter before raising their voices to shout away gender inequality, the Troubles and the injustice and brutality of American prison systems. But music can’t change the world by itself. Ever notice how “Imagine” is mostly played when something horrible has already happened? If any tangible good came out of the songs on the couple’s fifth album together, it has more to do with them playing “John Sinclair” at a rally for the leftist writer, imprisoned on a pot charge (he was released three days later), or “Attica State” at a benefit for the families of that prison riot’s victims. Money speaks louder than song. If the agit-pop on Some Time in New York City is to be admired, it’s for having the courage to know precisely what it’s mad about. It’s refreshing to hear Lennon bluntly sing “the island for the Irish,” though I wonder how his support for the IRA squares with his pacifism. “Angela Davis is a political prisoner” is a simple statement, but it’s one likely to alienate his centrist fans. Better to be specific than to rage against some vague machine. A lot of people are probably still learning about the Attica State riot and the arrest of John Sinclair from these songs. 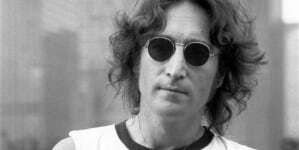 The record might, in fact, be more useful as an addendum to the historical period that spawned it than as a listening experience, so totally does it gel with what was in the news at the time about both the Lennons (“New York City” is even more obnoxious and self-congratulatory than “The Ballad of John and Yoko”) and the horrors going on in the rest of the world. No wonder the album cover looks like a newspaper. But that cover has its own baggage. Emblazoned across the sleeve is a racial slur that happens to be the fourth word sung on the record. It’s awfully hard to take anything an artist says seriously when he opens his album with a song arguing for gender equality by using the last word a lot of black people hear, used synonymously here with “slave.” The song gains nothing from the use of that word and in fact becomes useless as revolutionary art. It’s offensive and mind-bogglingly stupid self-sabotage. Neither Lennon nor Ono were great at writing about politics. As musicians, though, they were something to be reckoned with. 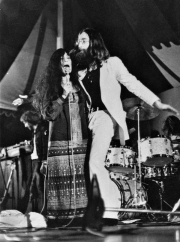 The records the couple made together in the ‘70s afforded an opportunity for Ono to drift away from downtown art music and Lennon away from pop structure, meeting in fearsome territory in the middle. 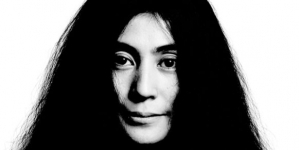 Yoko’s Plastic Ono Band and Fly albums are some of the gnarlier early hard rock products. It’s a relief to know that the songs with Elephant’s Memory were recorded at a UNICEF benefit concert, which means they probably did more tangible good than all the hymns and hoo-hah on the first side. Better frivolous music that goes to a cause than messianic screeds that think they can change the world by themselves. If Lennon and Ono had known that, maybe their political music would be a little less obnoxious. Ono’s lasting influence on contemporary music cannot be overlooked. 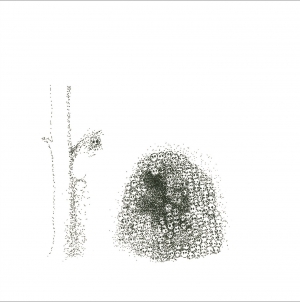 The great Ono reappraisal: long overdue and well-deserved. The high highs of Witch Too make it more than a simple curiosity.